There are two types of people in this world among the many different classifications: those who underpack, and those who overpack. Of course, sometimes you get it right once in a while and pack just enough, but it’s often one or the other. For those who belong to the former, there’s the Scrubba wash bag. 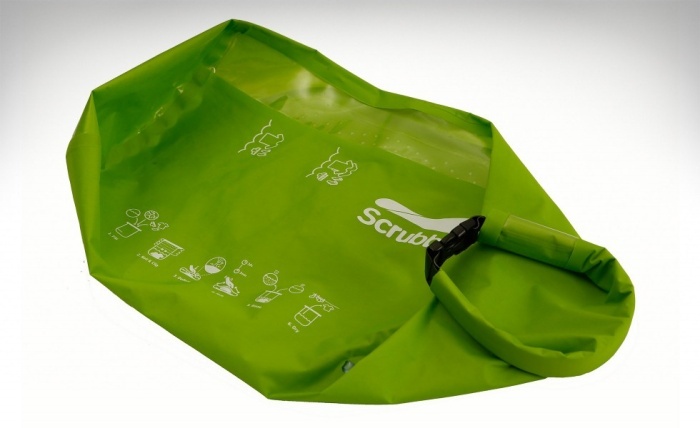 The Scrubba looks like a plain bag on the outside, but it’s packed with row upon row of nodules on the inside that function as an internal washboard. All you have to do is fill it up with water, detergent, and your dirty clothes and rub the Scrubba this way and that for 30 seconds to 3 minutes. Unload and hang your stuff to dry, and you’ll have a fresh change of clothes in no time. The Scrubba is available online for $55. The post Scrubba Wash Bag: For Last Minute Laundry, On the Go appeared first on OhGizmo!.